Governor Asa Hutchinson proclaiming October 15, 2017, as Infant Loss Awareness Day. 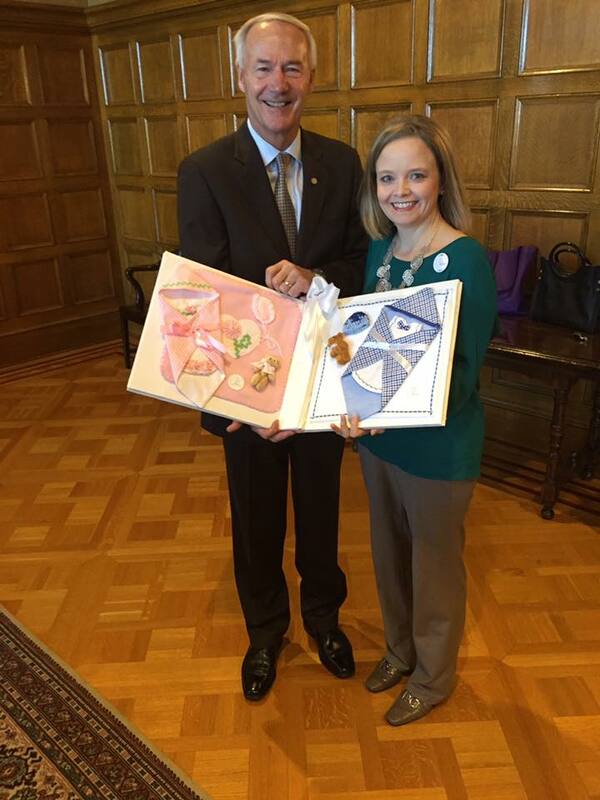 The Governor of Arkansas, Asa Hutchinson, and Holy Sews’ Founder-in-Chief, Regina Binz, at the signing of the proclamation for October 15, 2017, to be Arkansas’ official Infant Loss Awareness Day. Thank you, Governor Hutchinson, and thank you to UAMS for leading the charge for this special day! Online Shopping Just Got Better… → ← Holy Sews, 2017 Wave of Light interview with KTHV-Channel 11.